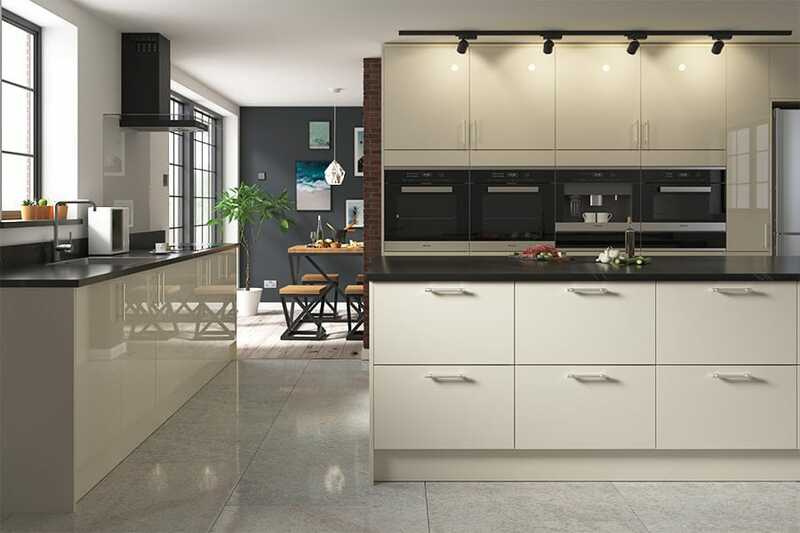 The Innova Livorna Cream High Gloss kitchen doors are a true high gloss lacquered door, finished with a polyurethane polished finish, which is applied to an 18mm MDF base. Livorna is one of many in our high gloss Innova kitchen range and the doors are available in White & Cream. The process of finishing a true gloss kitchen door involves applying a high build polyester primer to the surface, sanding, then applying a gloss polyurethane lacquer. Finally, another stage of sanding is required then buffing & polishing with compounds and waxes. At last here are the photos of the kitchen fitted beginning of the year. We really enjoyed the experience of visiting your showroom-very personal service. First class support service when ordering the units etc. My kitchen is small but perfectly formed. I love it and so do all my visitors. When the kitchen arrived was extremely impressed with the quality of the units. Please find attached pictures of my kitchen ordered from you in May 2014. I was extremely pleased with the quality of the kitchen units, they arrived on time and everything was as it should be. When the fitter came to fit the kitchen at the end of May he could not believe the quality of the units and the fact that they were already assembled. The fitter compared the units to his usual supplier (Howdens) and said the quality was much better for the price than anything he could recommend. The worktops are very heavy and finish off the kitchen in style looking great with my existing appliances. I came across your website by chance on the internet when initially looking for a kitchen and was a bit sceptical at first about buying something I had never seen, then went to all the local competition, Wickes, B&Q etc. DIY kitchens looked the best so having a caravan I booked on a site close to the factory and showroom and was able to see the quality for myself. I designed my kitchen when I got home and then ordered it with no concerns about quality. Hi, I love my new kitchen and would like to share these photos with you. Thanks. After having quotes from the large well known kitchen DIY stores we searched the internet and came across DIY Kitchens. We visited the showroom, which we were very impressed with and chose the Livorna Gloss Range in cream. These are modern looking and extremely stylish. We teamed the units with black granite effect worktop and a very dark grey tile on the floor it looks fabulous. The units were substantial and of very good quality with the added bonus of being already assembled. We chose a unit with pull out wire drawers with a single door instead of a set of drawers so that all the doors had matching vertical handles. Overall impression of the kitchen, quality of doors, units & worktops etc were excellent quality all round from visiting the showroom through to delivery. A friend who is a joiner and kitchen installer said that he had used them before and he thought they were very good. Love the high gloss finish and the curves look amazing. Really impressed with the high quality look and feel of the kitchen. Everything from start to end of the order was perfect.Ordering, delivery and installation went very smoothly. The quality of the kitchen is first class, well up to the reviews others have given on the DIY Kitchens website. Mentioning the DIY Kitchens website, that is very thorough with the videos and articles taking you through everything. It did cost me a Magic Corner though, the wife had to have one when she saw the video! Very happy with the quality of the kitchen. The units are very sturdy and the doors and worktops are good quality. Everything arrived well packaged and correct. Also very happy with the customer service. I was contacted to query one part of my order. It turned out to be wrong and I was able to correct it. Here are some photos of my new kitchen for possible inclusion in your website. I finally settled on diy-kitchens after extensive searches and comparisons with similar products from other suppliers, both in-store and on-line, and I must say I have not been disappointed. I was particularly pleased with the build quality of the Livorna Cream units I chose. 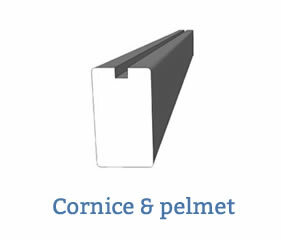 All units are fitted with strong 8mm chipboard back panels, not thin hardboard, and door hinges and drawer fronts are attached using strong nylon inserts, not directly to the chipboard or MDF which could lead to weakness over time. It's attention to detail like this that make these units shout "quality". 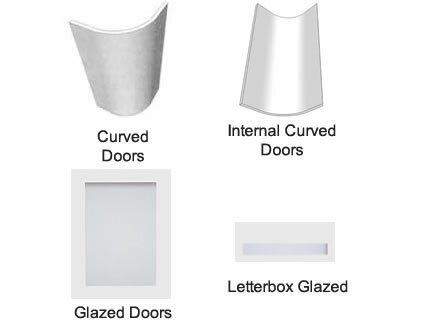 The high gloss doors complement the base/wall units, displaying the same high quality of finish. This, combined with the Blum drawers, runners and hinges supplied with these units, makes for a top class kitchen build comparable, if not better than many other, more expensive units available elsewhere. Hi, I thought I would send you some photos of the finished kitchen. We are delighted with our new kitchen. Our fitter was sceptical when I said I was ordering units on-line, but he has been won-over by the range of units (enabling a near bespoke design) and the quality of the units (better than competition for lower price). Please see my enclosed pictures. Here are photos of my kitchen. I am sending you photos of the kitchen now it is fully installed. We are delighted with the result. Our kitchen in Livorna Cream High Gloss with Brown Sahara worktops looks fantastic! Quality and finish of units are second to none. Our fitters were very impressed. Being able to order appliances at the same time was an added bonus. We would highly recommend DIY kitchens to anyone looking for quality at a very reasonable price. We are extremely please with our purchases and the end result. 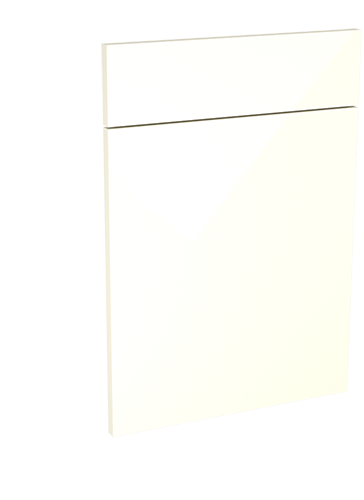 Order a Livorna Cream door sample pack Pack contains x 1 355mm x 297mm 'Livorna Cream' door. Fully refundable when placing a full kitchen order. There's no risk to you, we'll collect and refund the samples once you have finished with them.